The 5th Annual New Year Resolution Business Networking party took place on February 3rd, 2015 at Taste in Red Bank. The series of open networking events kicked off in 2011 and is promoted by Rosa Davis and Chris Fotache through their Jersey Shore Premiere Events venture. This time, more than 200 people showed up on a cold winter day, exceeding the organizers’ expectations. The event’s goal was to bring together local business owners from Monmouth County, as well as from Ocean and Middlesex, and encourage face-to-face networking to help entrepreneurs make new connections or continue nurturing older ones. Attendees had lively conversations to promote their businesses or causes, they visited several vendor tables, took pictures on the red carpet, and spoke to the media and some public officials. Sponsoring the event were ServPro of Freehold/Middletown, Instinctive DJs, ShoreVacations.com and Eco Awnings. You can see more pictures from the event in the album by official photographer Tina Russo. More photos can also be seen here. A special moment of the evening were the first round of the 2014 Jersey Shore Premiere Awards, which honor people and businesses for their outstanding involvement in the community and local events. Among the winners announced on February 3rd were ServPro of Freehold/Middletown for Premiere Business of the Year, D. Monaco Designs of Point Pleasant Beach for Jersey Shore Premiere Boutique of the Year, Carl Maiorino as Premiere Photographer of the Year, Ernest Caponegro of I&E Insurance as Networker of the Year and Bert Baron as 2014 Jersey Shore Premiere Star of the Year. The other awards will be announced at a future event next month. Part of the proceeds of the event, as well as a food drive, benefited local soup kitchen Lunch Break, which freely provides life’s basic necessities – food, clothing and fellowship for community members in need. 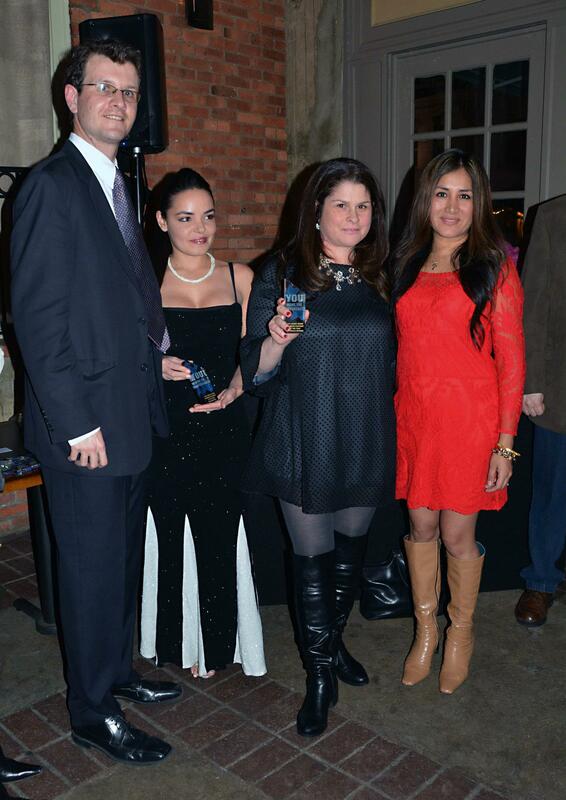 The next Jersey Shore Premiere networking event will be on March 17 at Gotham in Red Bank.